The 2019-2020 Shohet Scholars Program description and call for applicants will be posted in September, 2018 on: http://www.catacombsociety.org/shohet-fellowship/. Q. Who provides for and administers the Shohet Scholars Grant (SSG)? A. 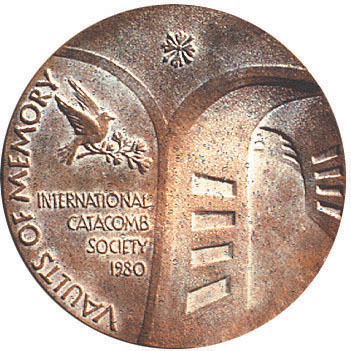 The SSG is a program of the International Catacomb Society (ICS). Unlike other ICS initiatives, such as the Estelle Shohet Brettman Memorial Lecture Series at Boston’s Museum of Fine Arts and The Gabriel Shohet Judaica Fund at the Harvard University Libraries, the SSG currently is not funded by separate endowment, and depends on available funding from the annual operating budget of the ICS and the generosity of ICS sponsors and supporters. ICS welcomes partners in its efforts to endow the scholarship program, with the options of individual prize naming rights and other partnership benefits in return for financial support of the program over the long-term. Q. Does ICS provide grants outside of the SSG program? A. We occasionally collaborate on special events with ICS member institutions or provide fiscal sponsorship to projects that lack tax-exempt status. It all depends on the circumstances, the availability of funds, and the partnering institution's financial involvement with and commitment to the ICS. Q. How many SSG are awarded each year? A. One to four grants are awarded each year. Q. What does ICS mean by "doctoral degree or the equivalent"? A. A Ph.D. or research doctorate from an accredited university in the USA or abroad. Doctoral candidates are not eligible to apply for Shohet Scholar funding, alone or in partnership with a co-applicant already in possession of a Ph.D.
Q. Are grants restricted to current members of the ICS? A. Yes. Shohet Scholar candidates must be members of the ICS at the time of application to be eligible for an SSG. Otherwise, the application will not proceed to jury review. Anyone can become a member of the ICS. Just complete the application at: http://www.catacombsociety.org/become-a-member/. Q. Are SSG restricted to citizens of the USA? A. SSG eligibility guidelines state that "Non-U.S. citizens may apply if a co-applicant is a legal permanent resident (i.e. currently in possession of "green card" or Form I-551) or native or naturalized citizen of the U.S.A., meets all eligibility requirements, and has a genuinely collaborative leadership role in the proposal." A leadership role is when a co-applicant has an equal and public stake in all aspects of the project: conception, application, production, and delivery. Please note: starting in 2018, all funding is awarded directly to the USA-based scholarship recipient for distribution among international project collaborators. The ICS will no longer wire or transfer money to bank accounts outside of the USA. Q. I am able to work in the USA, but am not a citizen. Can I still apply to the Shohet Scholars Program? A. Shohet Scholar applicants must either be USA citizens (native or naturalized) or already in possession of a "Green Card"/Form I-551. If you do not have this documentation, you would be able to apply with a co-applicant from the USA, but not as a solo candidate. Q. What is the amount of an individual SSG? A. Individual SSG awards range from $2,000 to $30,000 USD. Most applicants do not request the maximum award. A budget proposal is part of the SSG application: it is there that you can make your case for the desired funding amount. Please note that "Shohet Scholar funds may not be used to pay salary and fringe benefit obligations of institutions, tuition, institutional overhead, other institutional support, travel expenses to attend professional meetings, or expenses incurred prior to the date of the award." Q. What can the SSG cover? A. We have provided eligibility guidelines on our webpage: http://www.catacombsociety.org/program/. Since the ICS goal is to support innovative work, of course it is not possible to anticipate or limit the kind of work we will eventually fund. Our budget guidelines are helpful to review to understand what the SSG does not cover in a grant, including salary replacement or course buyouts during sabbaticals, tuition and student fees, and project expenses incurred prior to the date of the award (May 1). Q. What if I ask for $30,000, and receive only half that amount? Do I ever receive the remaining funds? A. The amount awarded is the maximum ICS is able to provide that year. You must re-apply to the SSG during subsequent grant cycles for additional funding. As is clear from the list of past Shohet recipients, many projects that ICS funds also receive financial and logistical support from government agencies, universities, foundations, and other organizations and private donors. Accepting a partial grant from ICS (i.e., less than the requested amount) does not exempt the SSG recipient from any program expectations or obligations. Q. Am I taxed on the award amount? A. SSG awardees should be aware that grants are subject to US federal and state income taxes. According to current United States tax laws, yes, the Shohet Scholars grant is taxable income if paid to an individual. The ICS files with the US government each year the names of all Shohet Scholar grant recipients and the amount of each award. It is your responsibility also to report the Shohet Scholar income on your annual tax returns using one of the 1040 forms available at https://www.irs.gov/. A number of past Shohet Scholar recipients have requested that grant funds be sent directly to their academic institution, in which case an individual is not taxed directly. Your personal accountant or workplace finance department will be able to explain in detail the option(s) best for you when filing a 1040 (Individual Income Tax Return), and whether or not you might qualify for any IRS Tax Benefits for Education. Q. How often can I apply for a SSG? A. Eligible applicants may submit one application per grant cycle. Q. If I am a current or past Shohet Scholar seeking funding for another year, do I need to reapply with all the required materials (recommendations, budget estimates, project description, etc.)? A. Yes. The makeup of the jury changes from year to year, and current grant recipients need to reapply for an additional year of SSG funding, as jury members will not be familiar with all the details of the project. Note: Previous SSG recipients are ineligible to apply again for SSG funding if they have not fulfilled all program obligations, including the submission of a results report suitable for publication on the ICS website. Q. How is the annual jury selected? A. The SSG jury is composed of senior scholars in fields of relevance to ICS core interests. The ICS executive director and other administrative staff do not serve on the jury. The composition of the jury changes annually, and jury selection is made by the ICS Fellowship Committee after the application deadline, to prevent any potential conflict of interest between an applicant and jury member(s). It is stated ICS policy that SSG jury members "will not be in a position to derive any direct or indirect private benefit if certain potential grantees are selected over others and will have no formal relationship to the applicants subject to their review." The current ICS administration is committed to enforcing this condition. Q. Can I obtain copies of proposals and budgets from past SSG-approved projects? A. We devote an entire webpage to past projects of SSG recipients, with links to project reports, media, and publications. Detailed abstracts are published on this page. Due to confidentiality reasons, copies of past grant applications are never shared with third parties. Also note that since the makeup of the SSG jury pool changes annually, it is not a possible to "game" the system and increase the chances of obtaining a SSG by modeling a project after one that has already received funding. Q. I am a member of the ICS but was not awarded a SSG. Why not? A. As is clear from the decision-making process outlined above, the outcome of the SSG competition is impossible to anticipate. What's more, the number of applicants has increased dramatically since 2015. We are unable at the present time to financially sustain all eligible proposals. This does not mean you do not have a great project in the works, but only that it was not selected for a SSG during a given year. Your ICS membership allows you other means of involvement. Any assistance and support you can provide to ICS will go a long way toward the realization of even more innovative ways to collaborate. Q. What are the obligations of a Shohet Scholar during and after the funding period? A. Shohet Scholar grant recipients are expected to: 1. acknowledge the Shohet Scholars Program of the International Catacomb Society in all publications and activities that are funded in part or in whole with the award with direct notification to the Society when these events occur and 2. provide the Shohet Scholarship Committee no later than three months after the end of the fellowship year (i.e., October 1st) with a brief, illustrated report of the work carried out or in course, suitable for publication on the ICS website. The deadline for receipt of applications and all related documents is January 15 of the award year. Award notification will be made by May 1st and funding will be disbursed on July 15. If you have questions about the suitability of proposed projects, application procedures, or any other matters related to the Shohet Scholars Program that are not addressed in the Program Overview or in these FAQ, please contact us at: shohetscholars@catacombsociety.org.